He really just likes to liven things up at school -- and he's always had plenty of great ideas. When Nick learns some interesting information about how words are created, suddenly he's got the inspiration for his best plan everÉthe frindle. Who says a pen has to be called a pen? Why not call it a frindle? Things begin innocently enough as Nick gets his friends to use the new word. Then other people in town start saying frindle. Soon the school is in an uproar, and Nick has become a local hero. 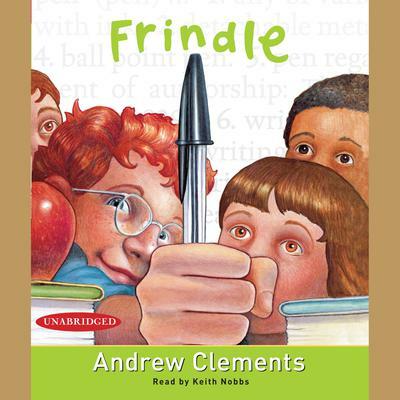 His teacher wants Nick to put an end to all this nonsense, but the funny thing is frindle doesn't belong to Nick anymore. The new word is spreading across the country, and there's nothing Nick can do to stop it.